Innsbruck, AUT June 13-17, 2018 - Nestled in the valley amongst the towering Alps, Austria’s biggest city, Innsbruck, kicked off the European legs of the Crankworx World Tour. In it’s second year, momentum grew for this event with Crankworx, tourism, volunteers, and fans all working together to put innsbruck on the map as summer sport destination alongside their winter sport success. 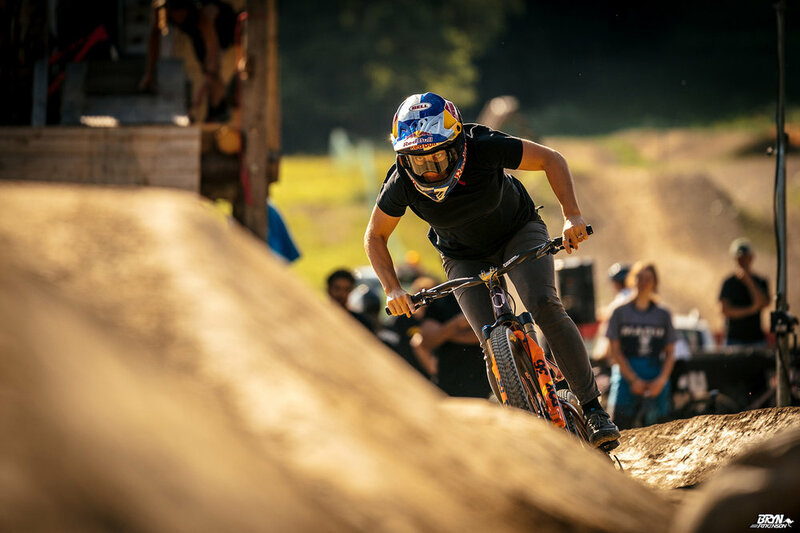 Jill competed in the Downhill and Pumptrack events to bring home a Silver and Gold medal, and had this to say…..
From Austria, everyone made the 8hr drive over to the Portes du Soleil to visit the village of Les Gets in France for the third stop of the Crankworx World Tour. Known for it’s iconic Downhill, and access to Europe’s most connected riding location, this venue draws in mountain bikers of all abilities to one spot. 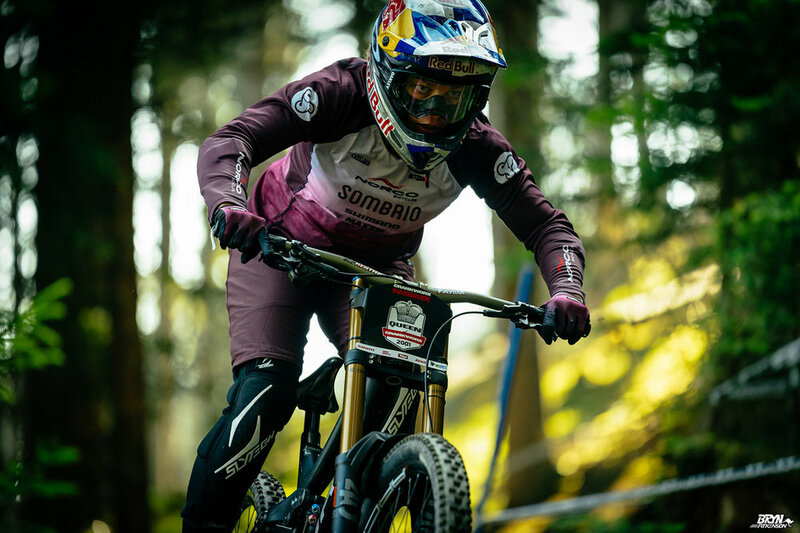 Jill Kintner competed Pumptrack, Mt Chery Downhill, and slalom, but opted out of the Les Gets DH after some scheduling conflicts. 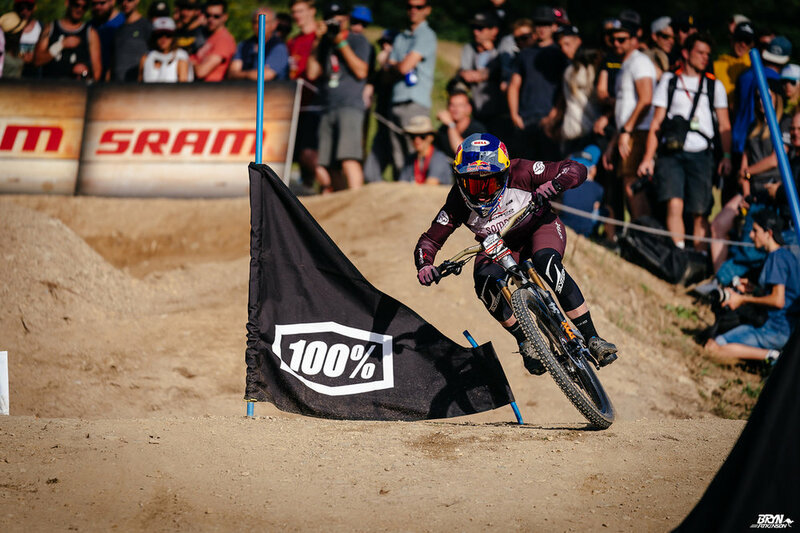 With a narrow silver medal in both Pumptrack and slalom, she was able to finish strong with a week with a win on Sunday to take a giant lead in the overall title.